Gorgeous Colonial brick home in the heart of Gettysburg! 11 bedrooms, 10-1/2 baths this home is stunning! Currently operating as a successful Bed and Breakfast, this home provides ample room for hosting and living. 5,800 SF of original oak hardwood, oak trim and 8'0" doors and door ways. The Brickhouse Inn is the top rated bed and breakfast in historic downtown Gettysburg. The Park Visitor Center is just 1.2 miles away and guests can walk to explore the battlefield directly from the Inn. Galleries, shops, museums and popular restaurants are only a short stroll away. Turn-key 4 guest room bed & breakfast in picturesque New Holland, Lancaster County, PA. Economical gas heat and hot water. Large carriage house includes a one car garage and space for your hobbies. Sale includes furnishings and ongoing business. 3 Guest Room Lifestyle B&B in 1790 Federal style stone building with spacious owners quarters, 2 outbuildings, ample parking, great location close to Messiah College, Harrisburg and the PA Turnpike. Profitable 5 guest room B&B in the heart of Amish Country, Lancaster County, PA. Formerly a thriving B&B and vacation rental located in Adamstown, the Antique Capital of USA. Year-round tourism w/ excellent occupancy & income. It would be difficult to imagine a more salubrious location for an upscale Inn than the Brandywine Valley of Southeastern Pennsylvania. This restored fieldstone manor house is currently is currently a 7 room Inn- each bedrm with own private full bath. The main house consists of 6 bedrms/full baths including Owners Quarters with a living rm/office. Guest Cottage and 5 car detached garage also on the property. A Lancaster County Bed and Breakfast. Situated in the small town of New Holland, One of the last true Amish/Mennonite Communities. This 4 room B&B is perfect for the stay at home parent supplementing the family income or perfect for the retired couple. ARCHITECTURAL MASTERPIECE - More than 100 years of history have created this classic beauty with all of the modern conveniences of today. Retiring couple seeking new owners for beautiful, Victorian Oil Mansion in historic Titusville, PA. 6 acre in town lot. On site parking. Full commercial kitchen ideal for catering. Built in 1837 this 5200 sq. ft. residence includes 6 bedrooms & 4.5 baths. Provides all modern amenities plus retention of original construction features. Sites on 1.55 acres and adjoins the Historic Gettysburg Battlefield. Classic Circa 1800s inn located on the vibrant Main Street of Saxonburg. Highlights include: 4 guest rooms and 4 guest bathrooms. Innkeeper's suite and restaurant space. The Centre Mills B&B provides an amazing opportunity as an at-home business or as an escape to a simpler life & time. This stunning property provides 25 acres with spectacular views. A beautiful Victorian home with proven Bed & Breakfast income, this home has 4 bedrooms, 5 bathrooms, private and guest parlors, dining room, kitchen, large, covered porches, patio, and 5 off street parking spaces. Nine Bedroom Bed & Breakfast. Ballroom & Courtyard for Weddings and Events. The Mainstay in historic Saxonburg embraces old world charm and country chic, creating unique experiences for business & leisure travelers, meetings, parties or a special getaway. Charming B&B located in Historic Lititz ( recently voted the coolest town in America). 6 Rooms plus an owners room and 6 full baths. Totally furnished, lovingly cared for and turn key. 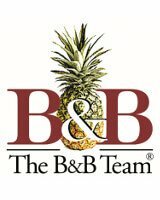 Many returning guests and a seller who is willing to help new innkeepers get started. Always Striving to be the Best Little Bed & Breakfast in Ligonier & The Laurel Highlands. "Old Fashioned Charm With Today's Comfort", Ligonier is an interesting combination of recreation and legends of history that beg to be retold. Step back to the grandeur of yesteryear, step into "Campbell House"
Historic 1735 Fieldstone Mansion located in the heart of PA Dutch/Amish Country. This beautifully restored Inn mixes old world charm with today's modern amenities! Enjoy history, hiking, bird watching or cycling the countryside - you will be charmed! The main home, out buildings, Carriage House and Cottage, organic gardens & fruit trees, are close to highways, shopping, and Kutztown University. A perfect place for a family retreat or work from home business.